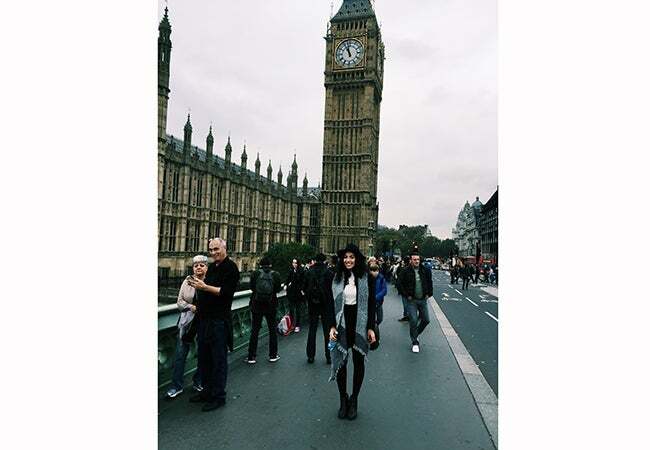 Undergraduate student Alexandra Grieco blogs about her experience studying abroad in Florence. After returning home to the States a couple of weeks ago, I find myself constantly reflecting on my time abroad. I am so amazed and blessed to have done all that I did, and I am excited to share the final installation of my time in Florence with you all! Since my last post, I traveled outside of Italy during my week-long Fall Break. 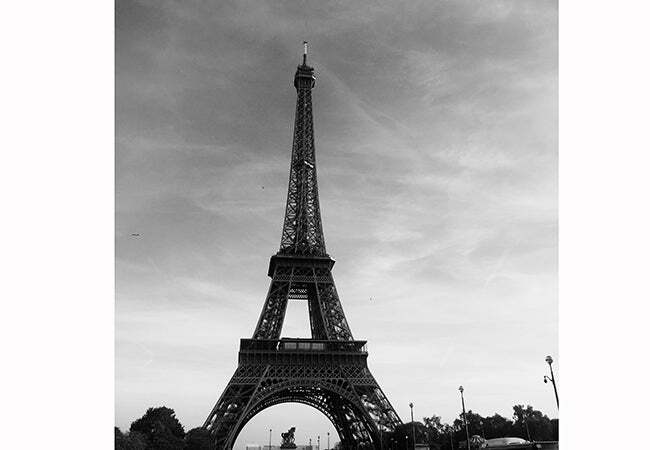 I was able to go to three cities: London, Paris and Geneva. It is nearly impossible to capture my time spent in each of these places in just one post so I will sum it up in one word: AMAZING. Each place offered cultures and opportunities I had never experienced before. What I learned from each: I need to return. A couple days in each place is not enough to do everything, even if you were sprinting from place to place (like me). 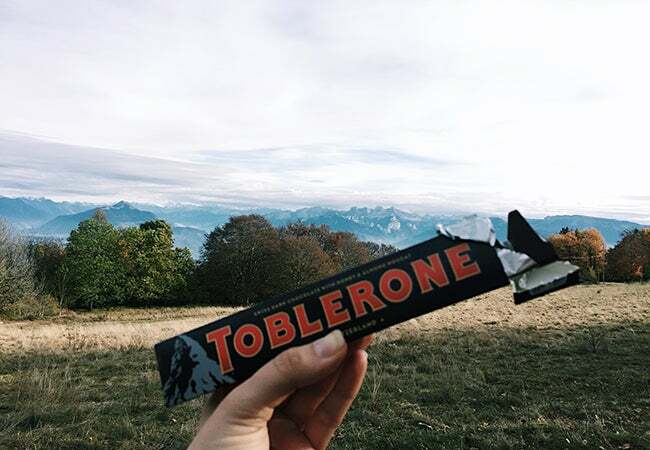 The following month was filled with school field trips and day trips around Italy, as well as a spontaneous visit to Prague. 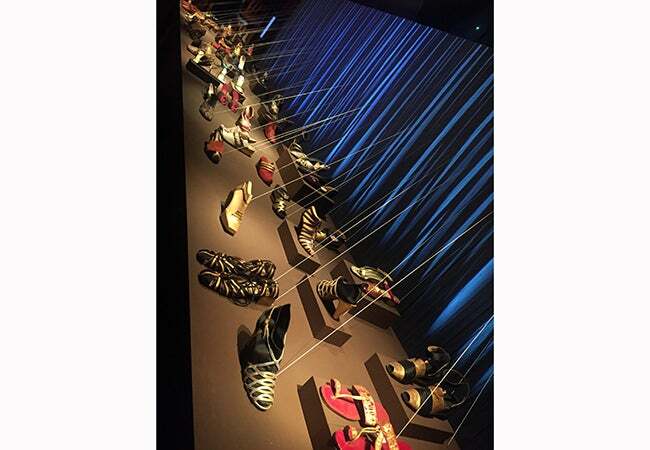 For school, my Marketing class visited the Ferragamo and Gucci museums in Florence in order to prepare us for our personal class assignment. Additionally, my Etruscan history class went on an overnight visit to four famous Etruscan cities: Orvieto, Tarquinia, Cerveteri and Chiusi. On the two-day trip, we saw Etruscan ruins and tombs that we had studied in class all semester. 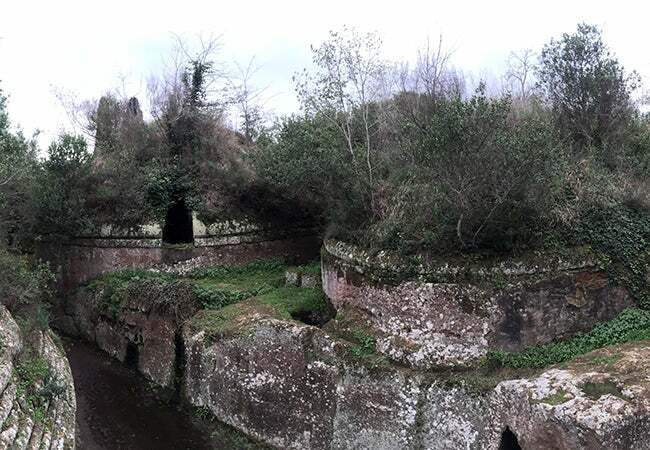 My favorite part: exploring the necropolis of Cerveteri, which was filled with hundreds of hut-like, multi-room tombs. About a week later, a friend and I traveled to the Czech Republic to celebrate Thanksgiving with some friends at NYU Prague. Luckily for us, the city had set up the famous Christmas Markets that week. 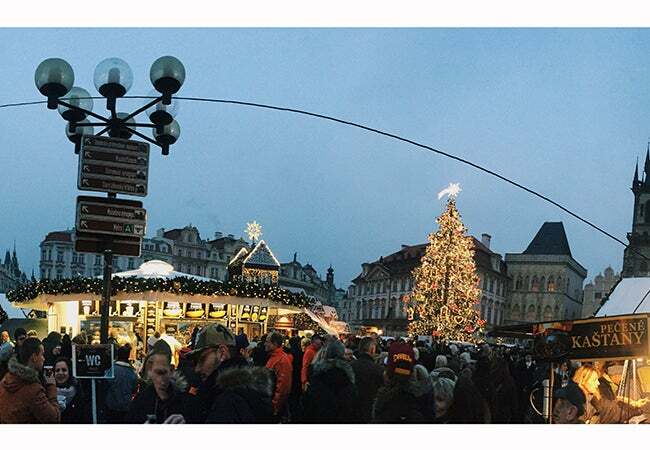 The city came alive with, what seemed like, hundreds of decorated Christmas trees as well as caroling in the main Old Town square. And of course, we made stops at the famous Lennon Wall and the Prague Castle. The city looked as if it was out of a fairy-tale: enchanting. While I loved traveling internationally, I wanted to spend the majority of my time exploring and experiencing Italy. For this reason, I participated in a couple of school-sponsored immersion programs. First, was the Food and Famiglia program, which gave students the ability to visit an Italian family’s home once a week for dinner. 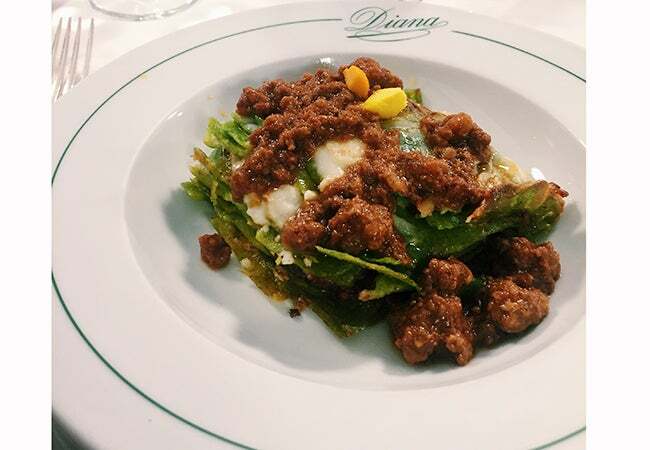 These weekly dinners not only helped me improve my Italian, but also taught me about the day-to-day lifestyle of a young Florentine family. 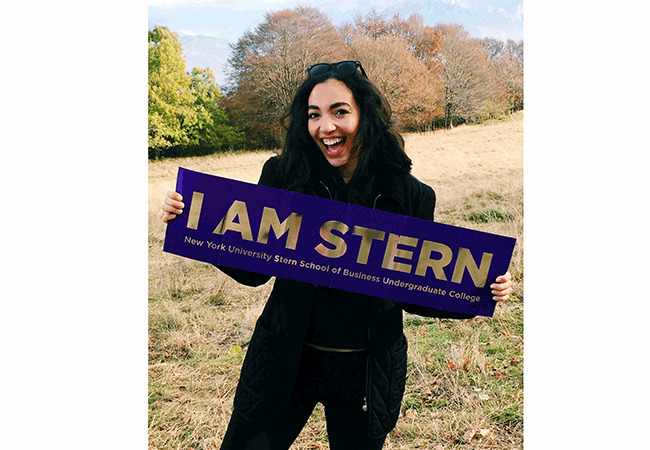 Secondly, I participated in the Community Engagement program offered at NYU Florence, which allowed me to go to a local Italian elementary school each week and help teach English to third graders. This easily became a highlight of my time abroad because you could see that the Italian students were just as excited to have an American student as I was to be there. Their eagerness to learn was contagious and inspiring. 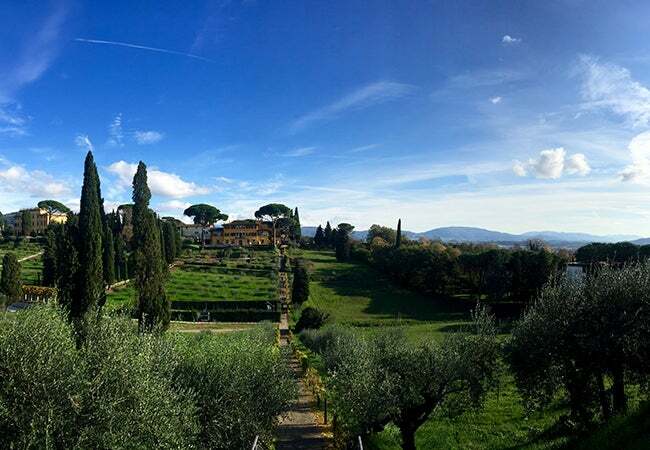 In addition to engaging with the local community, NYU gave students the ability to help harvest olives from the trees around campus to have them turned them into olive oil (which we got to take home). This was a once-in-a-lifetime opportunity that I will not forget – and neither will my parents, who are now the proud owners of that bottle of fresh olive oil. But to really wrap up my time abroad, I needed to visit a few more places and try more food. So, I took a few day trips to some places I have always wanted to see: Perugia, Vatican City, Assisi, Siena and Bologna. Each of these places had a different reason for drawing me there. My main reason for traveling to Perugia was the famous Euro-Chocolate Festival. 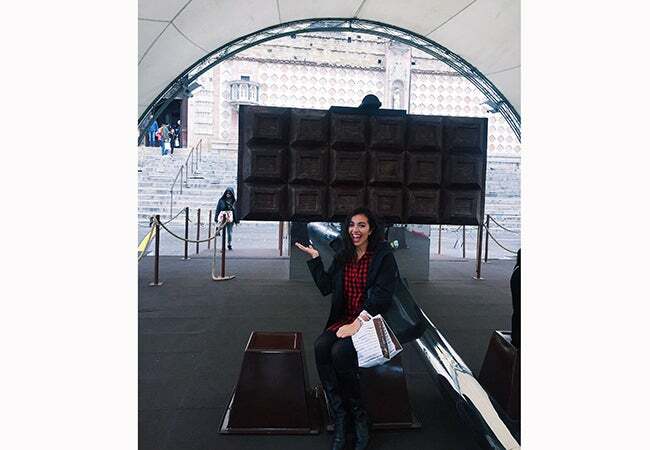 The whole city was filled with booths from various chocolatiers, and the main attraction was a giant selfie stick with a real giant bar of chocolate—definitely something you don’t see every day. 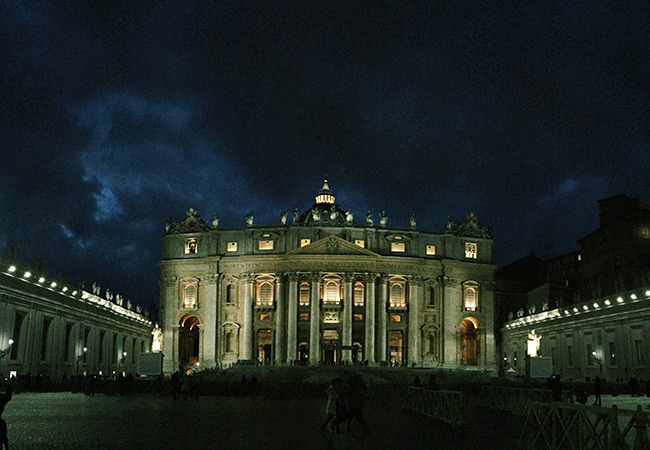 Vatican City, which I was unable to visit on my first visit to Rome, looked particularly enchanting with the beginning of the Advent season. It also provided me with a chance to say my goodbyes to old friends from Rome. Next, I went on to Assisi, which is a beautiful hillside city filled with the most beautiful churches, and most famously that of Saint Francis. Per the recommendation of my Food and Famiglia hosts, I took a visit to Siena: a southern Tuscan town, famous for the city horse races in the summer. And finally, I took a trip to the home of lasagna and tortellini—Bologna. In addition, Bologna is the home of the first university, which still hosts thousands of Italian and international students. Most importantly, I made sure to explore all of Florence. 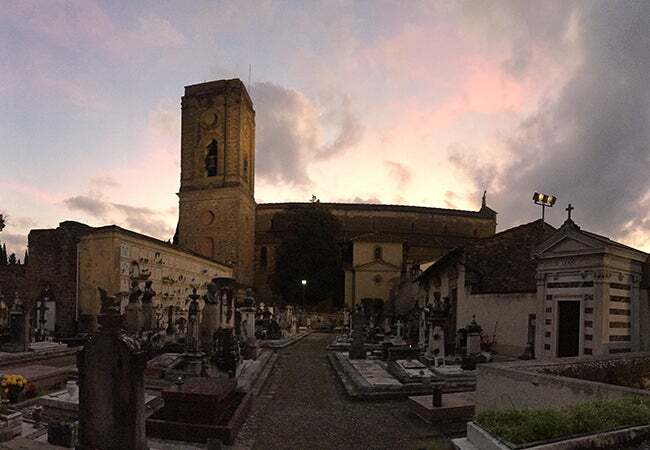 I discovered my favorite place to watch the sunset—San Miniato Church; the best steak—Bistecca Fiorentina from 13 Gobbi; a secret bakery; and the best view of Florence—from the Cupola of the Duomo. These past few months have been the most memorable and influential of my life, and I am so happy I got the chance to share it. 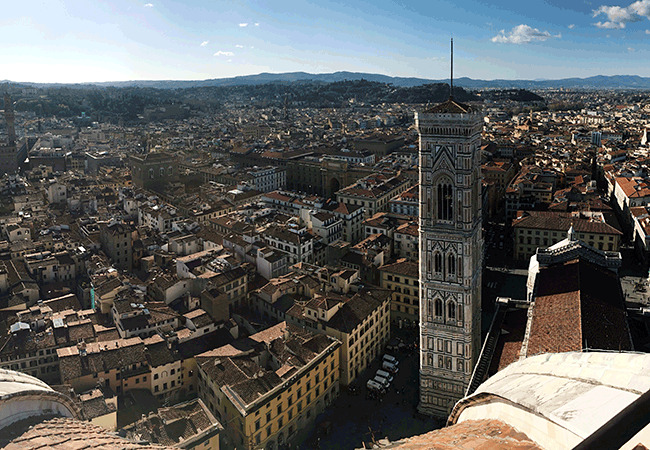 If you go to Florence and need any recommendations (or want the location of the secret bakery), please contact me! Ciao (for now) and felice anno nuovo!